1. 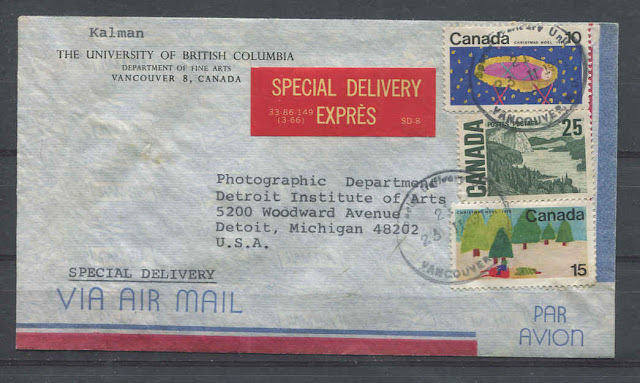 Frequent postage rate increases. 2. 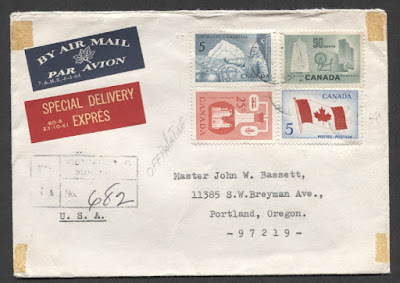 The proliferation of commemorative se-tenant issues and souvenir sheets, many of which were never intended to be used for postage. 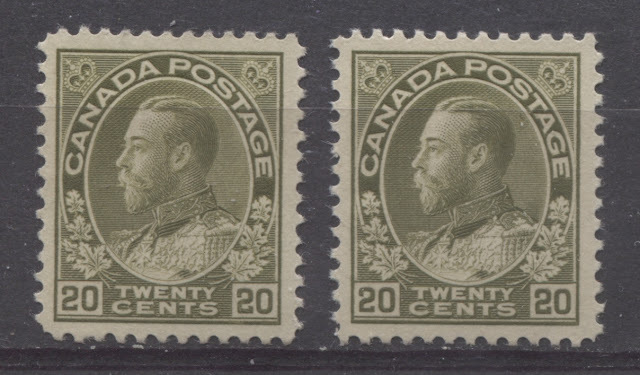 This post will deal with the last of the intermediate value Admiral stamps before I deal with the three high values, the 20c, the 50c and the $1. The Unitrade catalogue until fairly recently did not list any shades at all of the 10c bistre brown, and has only ever listed two shades of the first 10c: plum and reddish purple. As we shall see though, there is a fair range of shades of the first 10c, and also there are more than two shades of the bistre brown as well. In keeping with the structure of all previous posts, I will illustrate examples of each Unitrade listed shade and will then cross-reference the shade names with the Stanley Gibbons Colour Key. 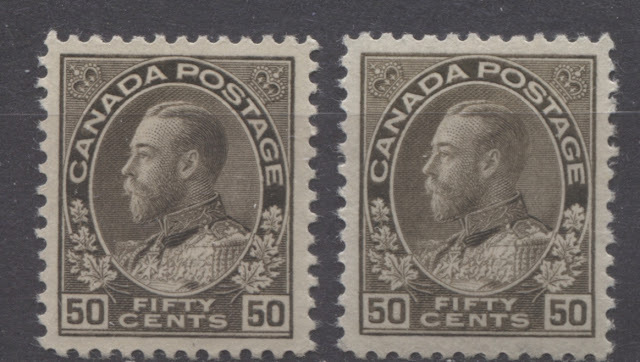 The use of blue colour spans the entire life of the Admiral Issue, being utilized on three different values, as we shall see: the first 5c, the 8c, which was introduced in 1925 and the second 10c. Each of these blues is completely different as to shade, and it is possible to find many subtle variations on all of them - even the 8c, which until recently had no listed shade varieties in Unitrade. This is perhaps the worst named colour in Unitrade in general, with the word "blue" or "dark blue" used to describe nearly everything. As we shall see, in reality, many of the dark blues are shades of indigo, with some deep blues. 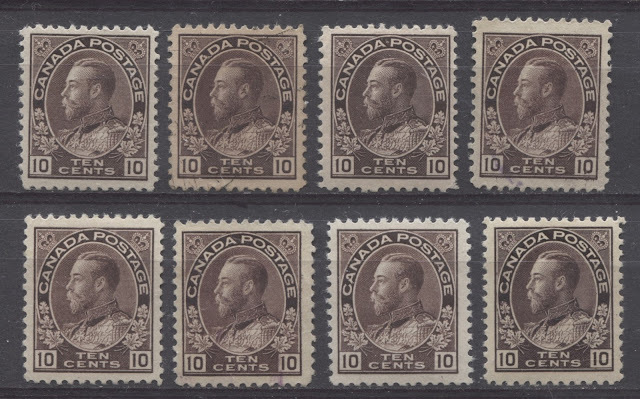 As with all my posts on shades, this post will illustrate the Unitrade listed shades on each of the 5c, 8c and 10c stamps and will cross-reference Unitrade's shade names to the Stanley Gibbons Colour Key.